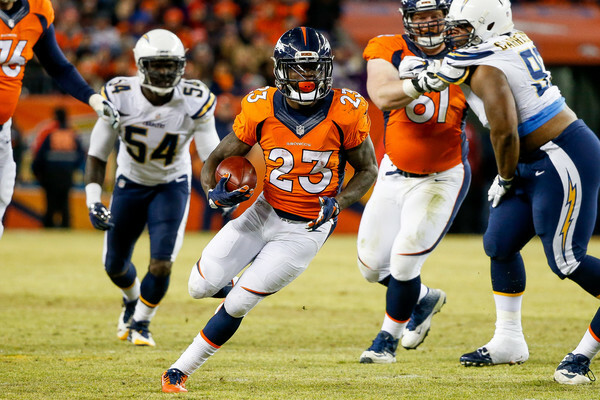 After the best season of his career, Ronnie Hillman remains a free agent this late in the offseason, but he seems to have options, which one of them is going back to the Denver Broncos. The other? Signing with the Green Bay Packers. Hillman, a third round pick in 2012 after playing his college football at San Diego State, ran for 863 yards and 7 touchdowns, averaging 4.2 yards per carry and overall bringing his best since becoming an NFL player. It was his first full season, starting 11 of the 16 games, while bringing them a little bit of help in the playoffs, although 54 yards in three games didn’t really leave a mark. For all of their cap woes, the Broncos wouldn’t have let him leave if he had been more impressive in the playoffs. The Broncos do have a problem – They have just $1 million in cap space right now. Hillman’s cap hit on his final season as a rookie was $942k, but he’s expecting to make a little bit more than that as a free agent. He isn’t going to make as much as he was hoping for considering he’s still available, which often means too high of a salary demand, but he’ll more than that with someone else, even if it takes a little bit more time and patience. The Broncos surprised many by matching the offer the Miami Dolphins made to Hillman keeping him on for $18 million over the next four seasons, which doesn’t leave them very much for Hillman, although Anderson hasn’t shown he’s a running back who can carry the ground game on his own. Without Peyton Manning or a decent quarterback in general, that leaves the Broncos a little bit short at running back too. The Packers aren’t drowning in talent at running back too. Eddie Lacy is their number one back and they seem to change their mind about him every week. James Stars is past 30, while John Crockett is an unknown, getting just two carries last season. Usually, the Packers turn to the draft in order to solve that kind of problem, but with over $10 million in cap space, Hillman might be a pretty good solution, and maybe even a potential replacement for Lacy as the team’s number one running back.